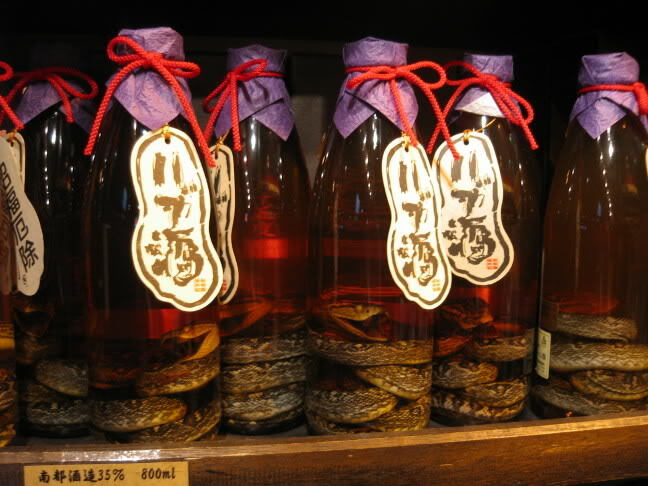 I want to ask a question here, is it OK to carry Habushu (snake wine) into USA? Is it OK to carry Habushu into USA? Answer is from US Customs And Border Protection. You may only be allowed to carry Habushu (snake wine) into USA if it is not listed as an endangered species. Further please confirm with the vendor in Japan that the snake in that bottle is not listed as an endangered species, otherwise it will be seized by US customs. I’ve been bringing back habushu (aka habu awamori) to the US for many years. The brand of habushu I bring back is the exact same one shown in the photo above. The trimeresurus flavoviridis is not listed as an endangered species, so you would be allowed to bring it into the US. It would be wise to keep the scientific name of the snake written down on a piece of paper or on your phone in case you are questioned about it. Can I bring snake wine from Vietnam to Europe? Can I bring a beach sand to the US as a souvenir? What is the best/safest way to bring a case of wine from Italy to the US?